With all the research that tells us volunteerism is good for your physical and mental health, it’s important to make giving back a priority in your life especially during your so-called retirement years. And giving back not only gives you a sense of purpose but it also provides a sense of fulfillment by making a positive impact on someone’s life, whether large or small. The catch: there are so many volunteer opportunities to choose from. Professional skills or brand new experience? Which cause or interest category? The important steps that most people miss are all about self-reflecting and honing in on the experience that you really want from your volunteer opportunity. If you’ve gone through the 7 Steps to Finding the Right Volunteer Opportunity, and you’re clear on the type of volunteer opportunity you’re looking for, you’re in the right place. All for Good is a service of Points of Light, one of the world’s leading non-profit orgs dedicated to volunteer service. 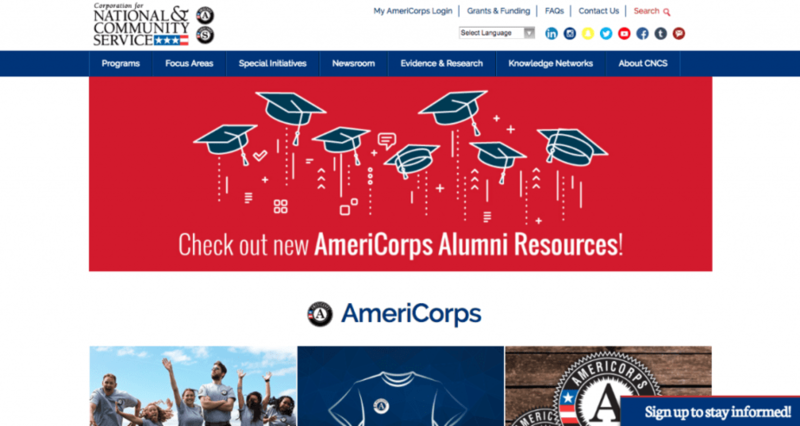 All for Good is basically an online hub that conglomerates into one database volunteer opportunities from several other organizations including AARP, United Way, HandsOn Network and others around the web. Both individuals and organizations can host volunteer projects to find volunteers and connect with people through civic service. General search for unpaid volunteer opportunities based on location. Those searching for both paid and unpaid opportunities that focus on improving lives and fostering civic engagement. Members are involved in addressing critical community needs like mentoring youth, fighting poverty, disaster preparation and sustaining national parks. 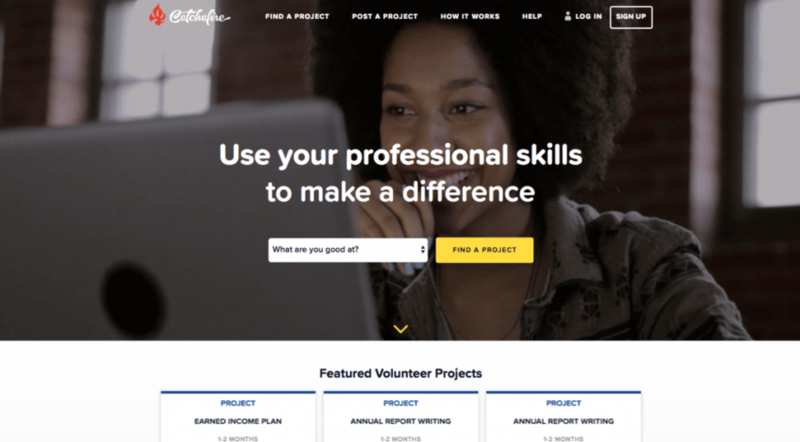 Catchafire is a matchmaking platform that connects professional volunteers with non-profit orgs to help the non-profit orgs increase their output and achieve their missions. 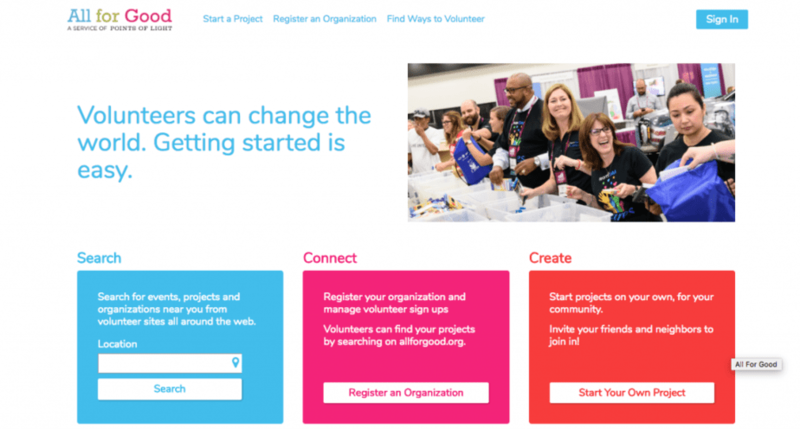 It allows volunteers to hunt down projects, and non-profits and grant companies to post projects. 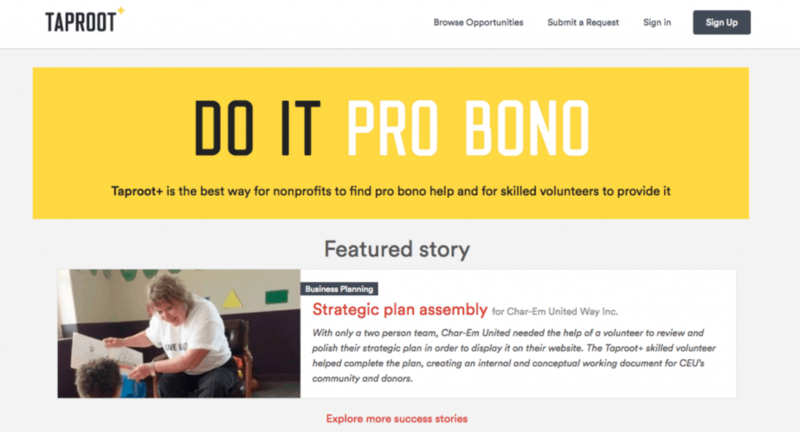 Pro bono professionals who want to help solve critical needs and increase efficiency and sustainability of non-profit and social good organizations. 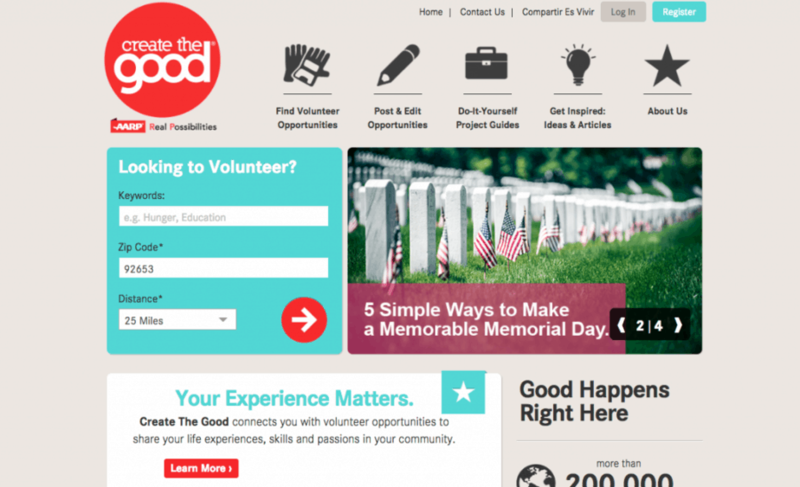 Create The Good is AARP’s unique volunteering database that matches up volunteers to time-flexible opportunities based on interest, life experiences, skills, passion and location. It was created to expand on the traditional volunteer position, understanding that a standard volunteer opportunity isn’t a fit for everyone. People looking for flexibility in their volunteer opportunity, both time- and interest-wise. DonorsChoose.org is an organization started in 2000 by a public high school teacher who had the idea to create one central location where teachers could post classroom project requests and donors could choose the ones they wanted to support. Starting with 11 posted requests the idea spread and is now open to every public school in the US. Those looking to help our public education system by donating and funding classroom projects. 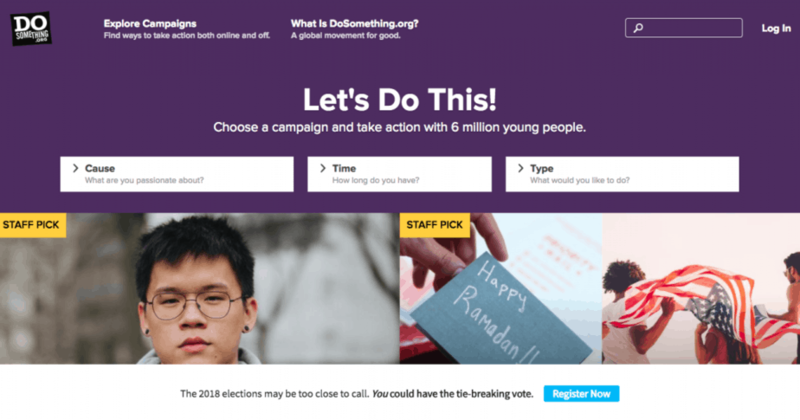 DoSomething.org is an organization that encourages young people to create campaigns that promote positive changes in our world. Members sign up to create social change or civic action for causes that are important to them. Although the scholarships and mission are catered to youth aged 13-25, getting involved and assisting the 6 million+ members is welcome. Donations also accepted. Those looking to help our youth make a positive impact and social changes in our world. Anyone can donate, volunteer, contribute and/or create campaigns. 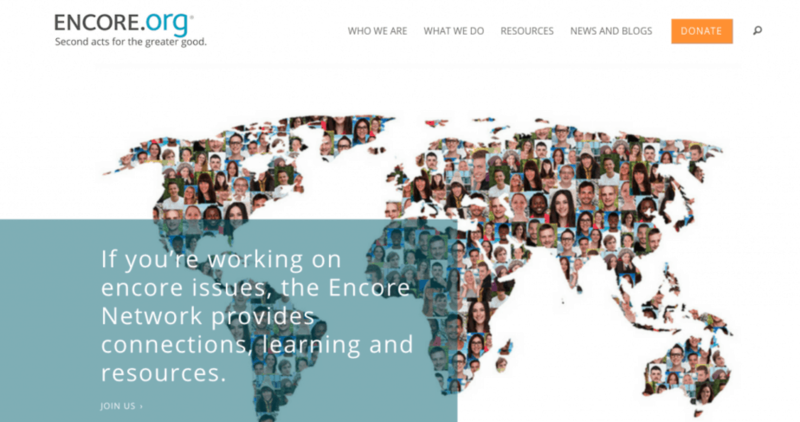 The Encore Fellowships Network – a matchmaking service that connects seasoned professionals with social purpose organizations. These paid positions are high-impact and transitional. Those with high-impact professional experience looking to contribute to the non-profit sector, whether full-time, part-time, paid or pro bono. Experience Corps, a another arm of AARP, is an intergenerational volunteer-based tutoring program. Focused on serving children who aren’t reading at grade-level, the trained volunteers aged 50+ help to improve literacy among the struggling youth. Through three tutoring models, one-on-one, small group and literacy assistance, the program has helped children achieve as much as 60% improvement in critical literacy skills compared to their peers. People aged 50+ interested in an unpaid volunteer opportunity that helps inner-city youth improve their literacy. Volunteers provide on average 6-15 hours per week of support throughout the school year. Currently available in select cities in: AZ, CA, CT, DC, GA, IL, IN, MA, MD, MN, NY, OH, OR, PA and TX. Global Volunteers offers unpaid volunteer opportunities abroad and in the US that help children thrive. The organization has programs designed for individuals, families, students, professionals and retirees. The senior volunteer program offers seniors the chance to contribute their knowledge, skills and compassion. Half the volunteers are 55+ and 30% are 65+. Volunteer opportunities include a wide range of projects including helping children, mothers, teachers and community leaders improve their futures. Seniors who are looking to for a new experience and or adventure while volunteering; best for those wanting to travel abroad or in the US and volunteer five days a week with free time in the evenings and weekends. GlobalAware offers organized, structured and supportive volunteer vacation or “voluntourism” opportunities. Partnered with reputable organizations across the globe, volunteers have the chance to contribute their efforts to helping specific causes in places of interest abroad or in the US. The volunteer activities and projects each promote cultural awareness and/or promote sustainability. Those looking for a fulfilling world perspective shift and adventure abroad, who have the ability to donate a minimum contribution fee that covers the cost of meals, accommodation, on-site travel, training, insurance and other program fees. 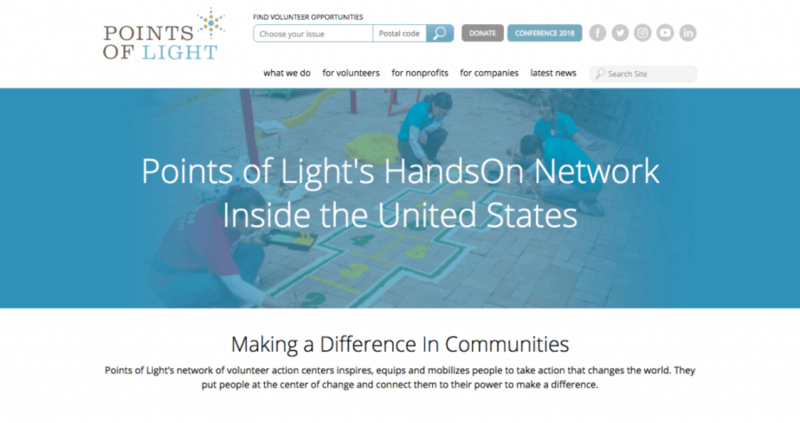 A Points of Light enterprise, HandsOn Network connects volunteers with meaningful work and projects across the US. Volunteers can choose from issues: animals, arts and culture, children and youth, civic and community, disaster relief and recovery, disaster preparedness, education, environment, faith-based service, health, human services, hurricane relief and recovery, public safety, technology, working with seniors, and veterans and military families. Those who want to volunteer pro bono within a specific role, issue and location. Idealist is a database of opportunities that connect “idealists,” people who want to do good, with over 120,000 organizations that focus on making the world a better place. 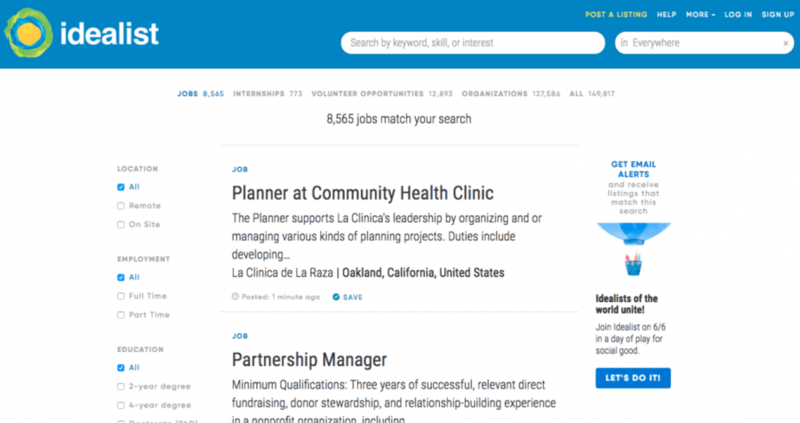 WIth over 1.4 million monthly visitors to their English and Spanish sites, the site offers an expansive set of volunteer opportunities that range across: direct service, skilled volunteering and pro bono service, virtual volunteering, board service, DIY volunteering and traveling volunteer opportunities. Those looking to work for an organization with a good cause, both paid and unpaid volunteer opportunities within the US and abroad. The database offers a wide range of volunteer opportunities, which are posted by the individual organizations. Jumpstart is a mission-driven organization that focuses on improving early childhood development and education. Although the majority of their volunteers are college students in their College Corps program, they’ve established a Community Corps program that offers adults, seniors and retirees the opportunity to make an impact in the lives of children 3-6 years old who are impacted by the effect of poverty. Those looking for a structured program, with training included, that helps poverty-stricken children ages 3-6 years of age. Volunteer opportunities are based on the academic calendar, with 10+ hours of commitment per week, and currently available in states: CA, CT, GA, IL, MA, MS, MO, NJ, NY, PA, RI, WA and DC. 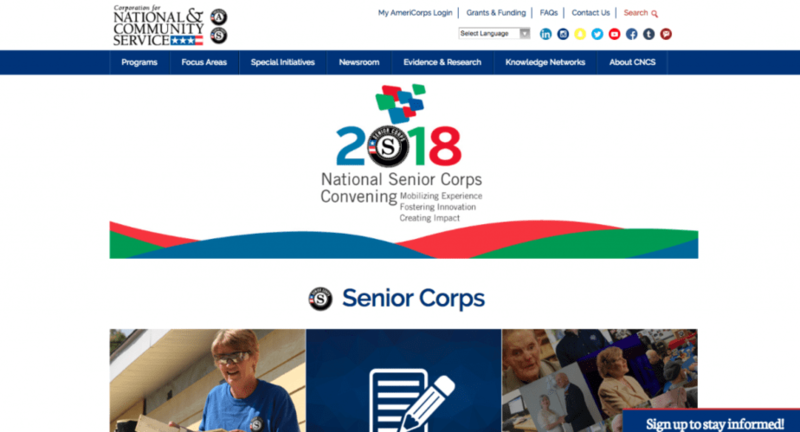 Senior Corps is a network of national service programs for US seniors aged 55+ who want to service opportunities in their communities. The organization connects about 220,000 seniors with volunteer opportunities associated with individuals, non-profits, faith-based organizations and other community groups. Those looking for unpaid community-based volunteer organizations within the US. Opportunities include academic tutoring, student mentoring, elderly care, disaster relief support and solving environmental issues. Taproot Plus is a database designed to match pro bono volunteers with non-profit organizations looking for project-based professional and skilled assistance. Non-profits post their projects in the database, while volunteers post their resumes and apply for specific projects. Both parties participate in an interview process prior to collaborating on a specific project. Role categories include: business planning and development, HR and leadership development, marketing and communications, and IT. Issue areas include animal rights, arts, legal services, community development, education, environment, health, housing and homelessness, human rights, social services, veterans and youth development. Those with professional backgrounds looking to contribute their skills to a non-profit and short-term projects. Both in-person and remote opportunities are available. 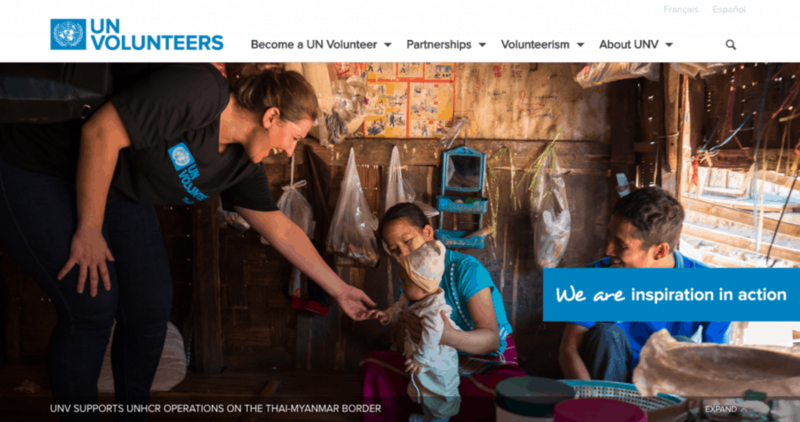 Based in Bonn, Germany, UN Volunteers provides volunteer opportunities abroad, within a specified country, and online. The organization has a staff of 150 with various offices around the world and nearly 7,000 volunteers participating in their various partner programs. Their two-pronged mission is to promote volunteerism and mobilize volunteers. With a focus on development programs and peacekeeping operations, the organization advocates for creating environments and communities in which volunteerism can thrive. Those looking to make an impact on a global scale, advocating for the ability and right of people to participate in volunteerism and their own development. Volunteer assignments are typically 6-12 months and can cover monthly volunteer living allowances, annual leave and medical insurance. Contracts are renewable with a maximum length of service is four years. United Way has a mission of creating opportunities for all and advancing the common good through their programs that focus on education, income and health. 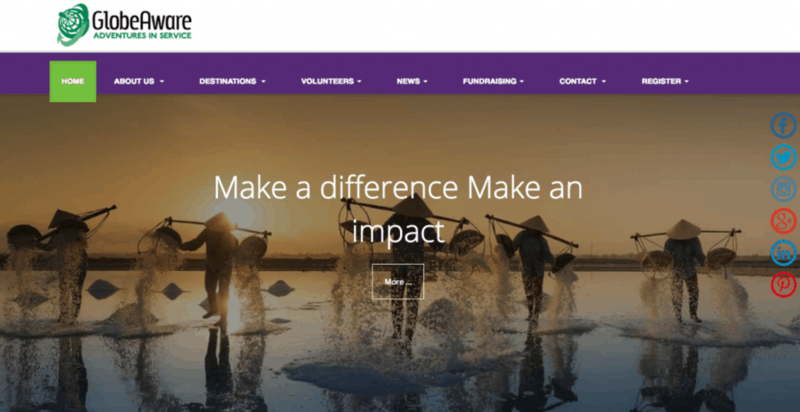 Their database includes volunteer opportunities that are pulled from partner organization and their posted listings, search results powered by All for Good. The organization has been at work for more than 125 years and there are local United Way offices around the globe. People looking to donate their time, skills and contributions at a local level for a variety of different causes. 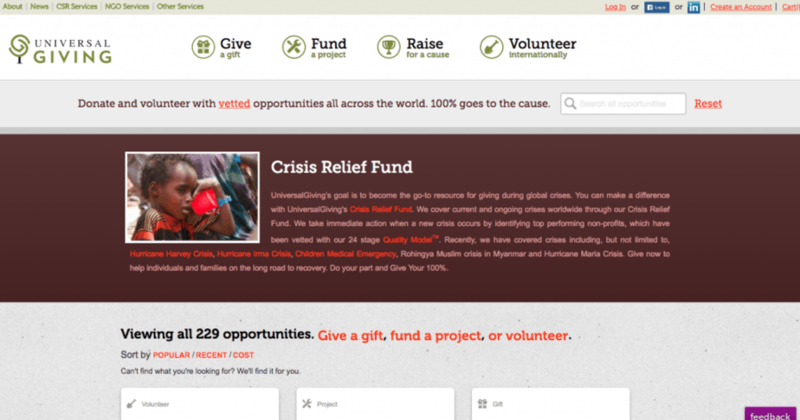 UniversalGiving focuses on crisis relief on a global level. The organization’s Crisis Relief Fund enables people to contribute through a gift or donation to crises that are identified by top performing non-profits, and vetted by their 24 stage Quality Model. People who want to donate, gift and help fund an international crisis, project or cause. Overseas volunteer opportunities are also available in UniversalGiving’s database, which pulls the postings from partner sites. 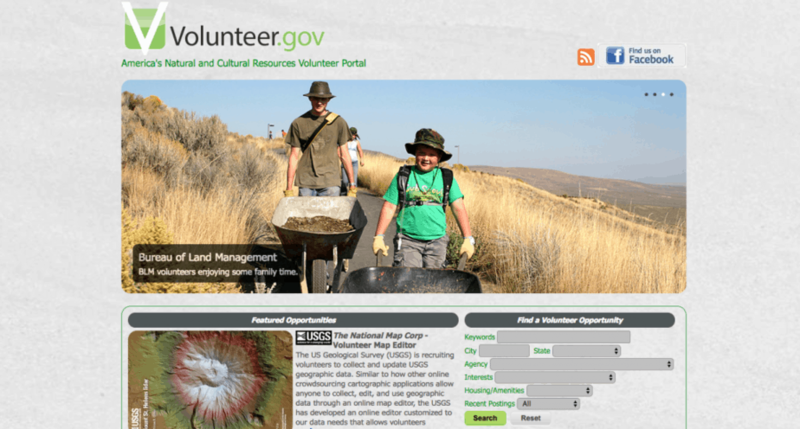 Volunteer.gov is an online portal maintained by the Federal Interagency Team on Volunteerism, that focuses on America’s natural and cultural resources. Launched in 2002, the database includes volunteer opportunities available at natural resources such as national parks, campgrounds, forests, fish and wildlife services. Those who love the outdoors and natural and cultural resources, looking for unpaid volunteer opportunities within the US. 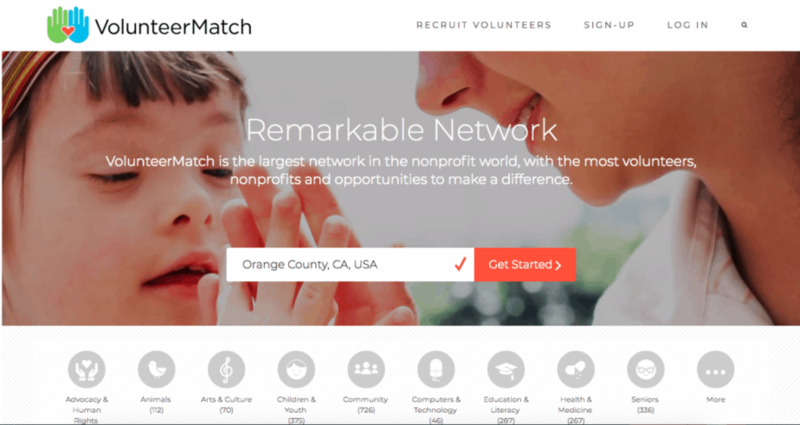 VolunteerMatch is a database that connects volunteers with a wide variety of opportunities within select cities around the US. 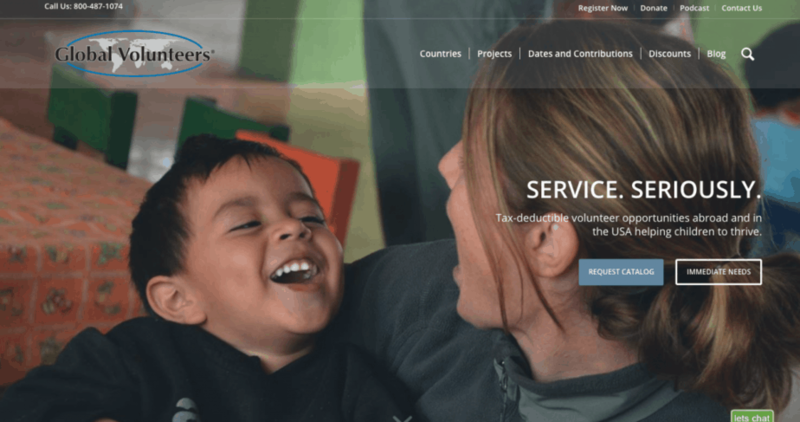 Non-profits, schools, hospices, hospitals, and other government and tax exempt organizations post their opportunities to the site to recruit suitable volunteers. Volunteers can browse volunteer opportunities across a wide range of cause areas and US locations. Those looking for an unpaid volunteer opportunity across a wide range of cause areas at organizations within their local area. 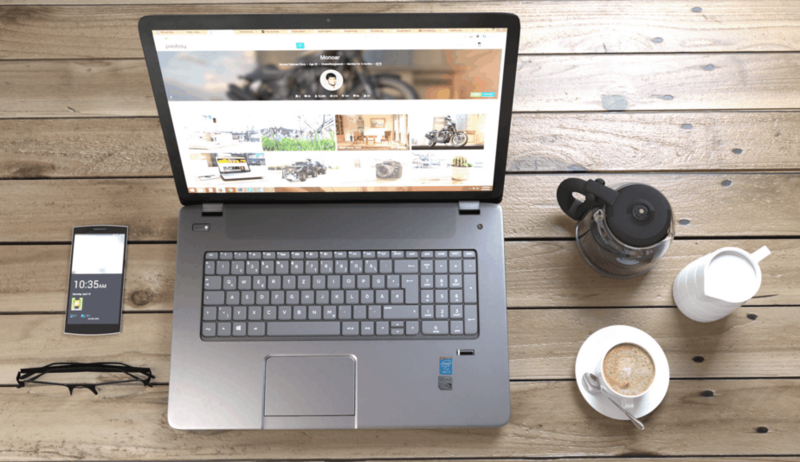 So there you have it – 20 of the top volunteer websites to peruse through and find an opportunity that fits your specific desires and needs. Whether it’s paid or unpaid, domestic or international, short-term or long-term, there’s a volunteer opportunity that’s suitable for everyone. With so many resources available, the key is to do some major self-reflecting before you start researching opportunities so you can have a clear understanding of what you’re looking for. 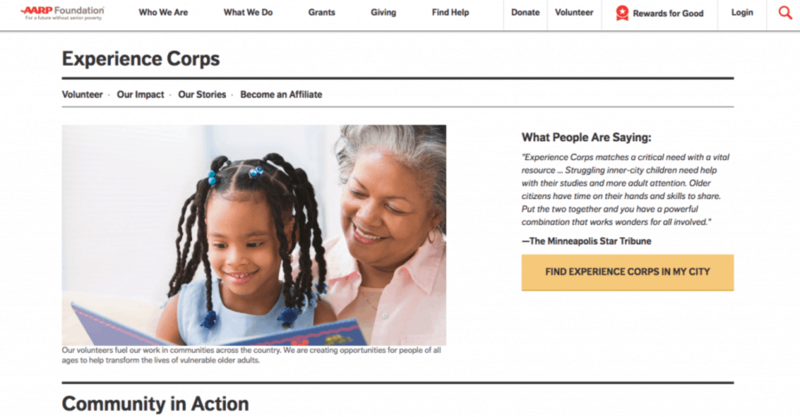 Which volunteer website is best-suited for you?